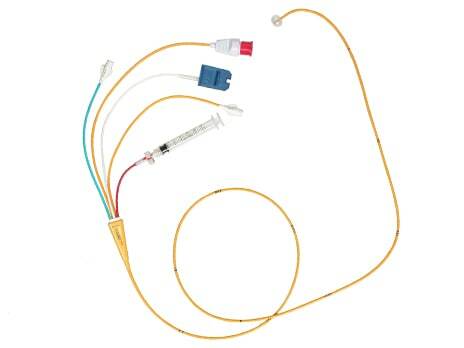 What do you think about the position of this PA catheter? Would you trust the readings from it? The Pulmonary Artery Catheter (PAC), also known as the Swan Ganz Catheter or “The Yellow Snake” was first developed in 1970 by Jeremy Swan and William Ganz. It was developed as a means of enabling pressure monitoring to be accessible in the intensive care unit. Over the years, it has acquired a number of different uses including continuous CO monitoring, central temperature monitoring, measurement of PA pressures (and RA/RV pressures), measurement of mixed venous saturations, atrial and ventricular pacing and estimation of LVEDP. Although the use of PAC is controversial amongst intensivists, it is considered the gold standard for monitoring CO. They are particularly useful post cardiac surgery but are also commonly used in a number of different settings including myocardial infarction, right ventricular failure, pulmonary hypertension and cardiogenic shock. The PAC is a balloon tipped, quad lumen catheter which is inserted through a sheath. It has 10cm markings along its length the aid insertion. The four lumens include: (1) a proximal injectate port for RA/CVP monitoring and injection of injectate for CO monitoring; (2) a proximal infusion port for drug and fluid infusion; (3) a distal pulmonary artery lumen for PA pressure monitoring and mixed venous SO2; (4) a thermistor for monitoring CO using thermodilation technique. Identify a suitable large vein, usually the right internal jugular vein, although the left subclavian or femoral veins may be used. The PAC is inserted through the sheath and the transducer is used to demonstrate the location of the tip. Once in the RA (approximately 10cm), the balloon is inflated. The PAC is then “floated” through the tricuspid valve into the RV and then into the pulmonary artery, using the blood flow to guide the balloon. As the balloon is floated through the different chambers of the heart and into the PA, the waveform trace changes, thus guiding the technician. Once in a pulmonary artery the balloon can become “wedged” in the vessel to give a wedge pressure which can approximate LA pressures. Once inserted, the balloon is deflated. Myocardium/vessel/valve rupture – It is a rare but potentially fatal complication (30-70% mortality). 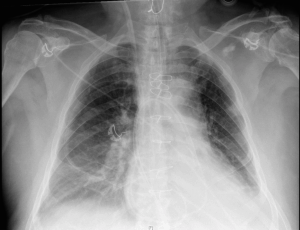 This can occur during catheter insertion or as a delayed consequence if the PAC tip migrates. Ensuring the balloon is adequately inflated (but not overinflated) beyond the catheter tip during insertion reduces risk. Infection – infective endocarditis is a possible risk – ensure sterile insertion technique. In normal cardiac output, there should be a rapid increase in temperature followed by a rapid decrease in temperature to normal. In low cardiac output the curve is much wider and flatter. I.e. the rate of blood flow aka cardiac output is inversely proportional to the change in temperature over time. This process is repeated at least 4 times, with the mean of the final 3 measurements taken as the cardiac output. 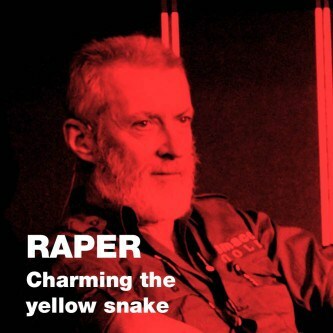 One of the most experienced clinicians, Dr Ray Raper, has been charming the yellow snake for over 35 years. Click here to check out his talk on PA Catheters delivered at SMACC Gold. During this talk, Dr Raper will also discuss the many controversies surrounding PA Catheters and the evidence for and against their use! 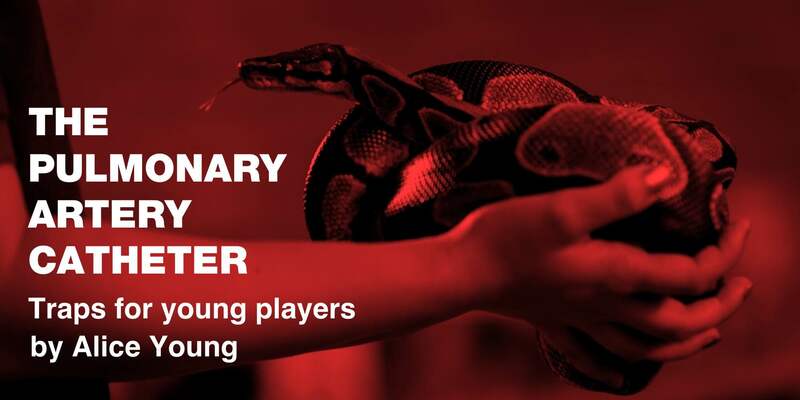 Check out this talk on insertion of PA catheters and pacing Swan Ganz catheters from Oli Flower (@oliflower) from the Bedside Critical Care conference or this one by Roger Harris (@RogerRdHarris) delivered at SMACC Gold using a pig’s heart for practical demonstration.